A lot has been made of Johnny Depp’s astonishing transformation to play notorious gangster James ‘Whitey’ Bulger for Black mass, and rightly so, but the rest of the cast should not be forgotten, especially when Benedict Cumberbatch, Joel Edgerton, Kevin Bacon, Juno Temple, and Corey Stoll are offering no doubt stellar support. A new trailer has come our way, which really opens up the story, and gives the supporting players a chance to shine, which is not an easy task with Depp in fantastic, absolutely terrifying form in the lead role. 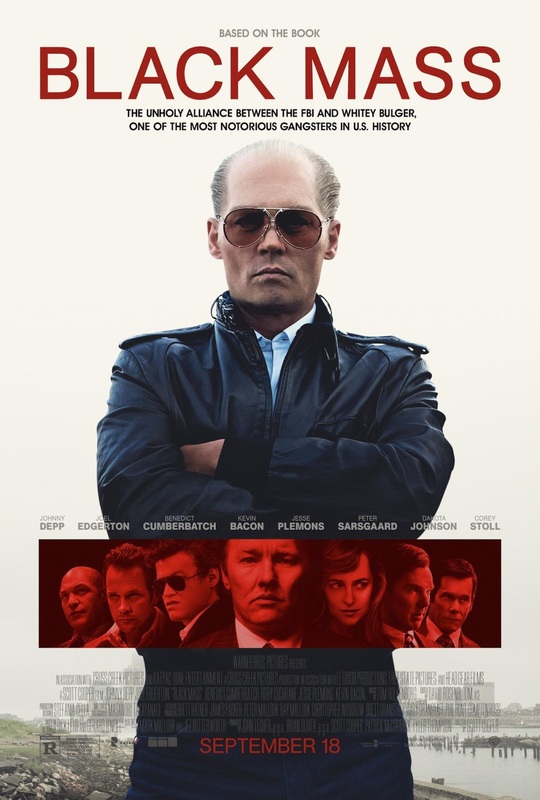 Synopsis: In 1970s South Boston, FBI Agent John Connolly (Joel Edgerton) persuades Irish mobster James “Whitey” Bulger (Johnny Depp) to collaborate with the FBI and eliminate a common enemy: the Italian mob. The drama tells the true story of this unholy alliance, which spiraled out of control, allowing Whitey to evade law enforcement, consolidate power, and become one of the most ruthless and powerful gangsters in Boston history.